Deneen, Lucas, and Davis flew out of San Diego this week. On Wednesday we drove into Ocean Beach. All Deneen wanted to do was go to the beach. But as sunny as it was in the Imperial Valley, it was as equally dreary and rainy at the beach. Everyone keeps talking about how nice the weather is in California. I have been here for three months and have experiences 2 types of weather: its either 2 cold, 2 windy, 2 hot, or 2 rainy. 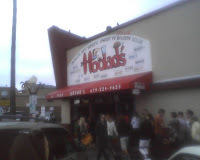 We went in to Ocean Beach to eat at a place called Hodads. 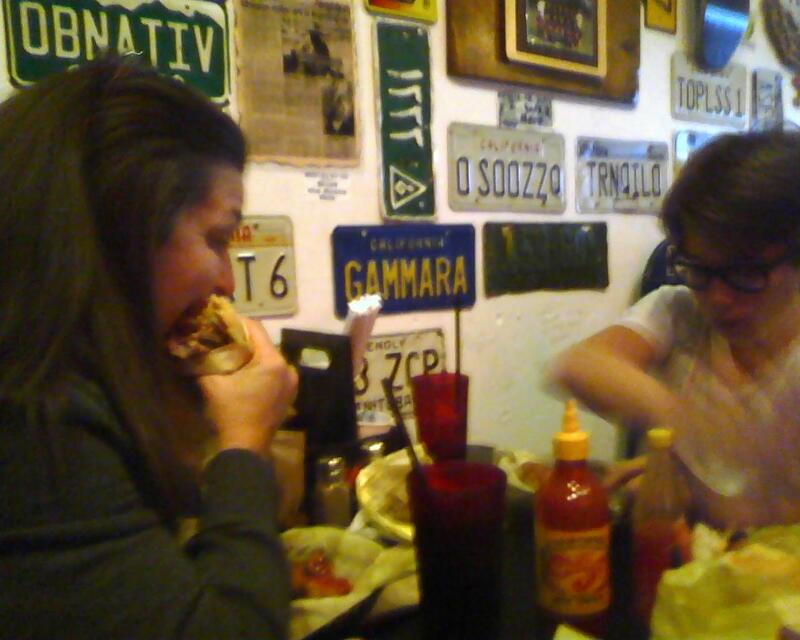 It is a dive that boasts the "Worlds Best Hamburgers". Several months ago it was featured on the Guy Fieri's Diners, Drive-ins and Dives. It got a couple of write up in the San Diego paper after this. We went at 2:00pm but there was a line all the way down the block. The newspaper article talked about how much their business has increased since the show was on the Food Network. There is evidently a whole group of people who travel around the country eating at the restaurants featured on the show. 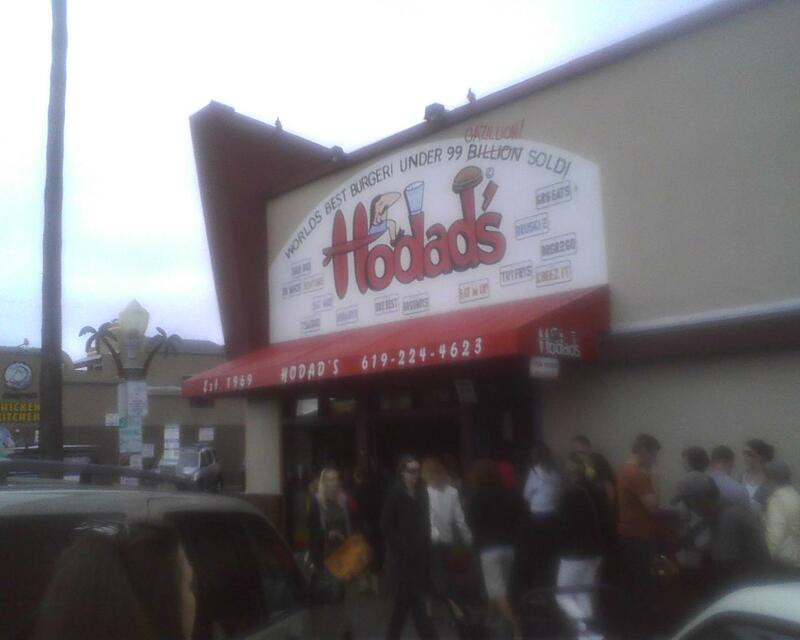 One couple interviewed in the paper had flown from New York to San Diego, just to eat at Hodads. I don't know about that, but we came back at four and got seated quickly. A single hamburger with a basket of fries was $7.95. The burger came with a stack of lettuce, tomato, and onions tucked between the patty and the bottom bun. 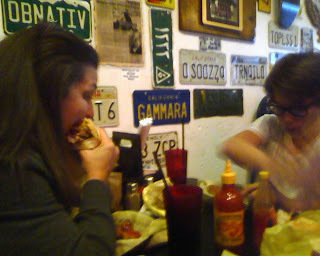 It was good, but I don't know if it was best burger in the world good.